Sandalwood soap has healing properties. 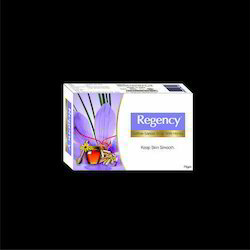 It is cooling and calming properties which soothe skins leaving it moisturized. Key Ingredients: Sandalwood Oil, Shea Butter, Vegetable Oil, Lye, and Other Essential Oil. Colour : Sandal wood Colour Packing 35 to 100 gms pack individually wrapped in a polycoated laminated wrapper such 72 pieces in a master cartoon form. 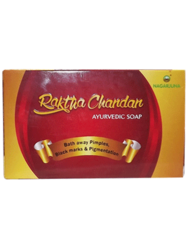 Nice smell having this Chandrika Sandal Soap is presented to patrons in proper packing and after complete inspection on various parameters. With the help of our adroit experts, we are engrossed in offering an optimum quality gamut of Mysore Sandal-Toilet Soap- Handwash. Precisely formulated by making utilization of quality graded ingredients, this meets the international standards of quality. The offered dhoop batti is used in various places like temples, houses and commercial appliances for worshiping purpose. Experience solace and revitalization like never before. Take a walk into the bliss of nature and come back with an irresistible blush with Ozonaa’s virtuous Sandalwood formula. Sandalwood is perhaps the best know ingredient for skincare, sandalwood has been known in India since ancient time for all the skin loving properties. From skin lightening, anti-inflammatory, aphrodisiac, moisturising, anti-tan etc, sandalwood works wonders for all.